We’re open 24/7. Paper Perfect is fully-insured. We believe that our customers deserve the best service possible. We believe that all customers deserve to get an on-site estimate. They should feel comfortable that they’ve hired the best professionals for the job. No matter how experienced our painters are, they understand that they’ll still need to earn the customer’s trust in order to succeed. 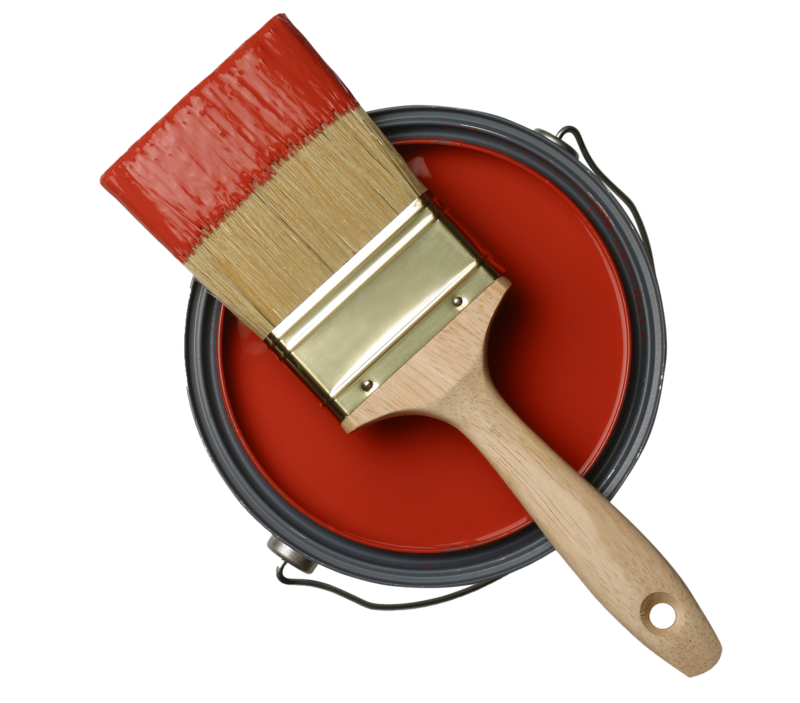 Our painters will be glad to demonstrate and showcase their talents by sharing before and after photos, references, and any other background information that will be helpful to the decision-making process. Paper Perfect did a great job on the interior and exterior of our newly purchased home – they were reliable, thorough, detail-oriented and also patient with us as we expanded the scope of our project. Ellie and I just wanted to let you know how thoroughly impressed we were with the work that your employees performed for us at our home last week. The two painters were courteous, helpful and completely professional from the moment they arrived until they left two days later. They made certain to move all the furniture carefully and cover it with plastic sheeting. They covered the entire floor with tarps and removed and replaced everything when they were finished the prep and paint jobs were masterful. Mitch worked on the removal of the paper in the downstairs bathroom and the result was simply perfect. He explained carefully every step of the painting and patching process and was very courteous and thoughtful. Marcello did a great job papering the bathroom. But, for me, the highlight was the incredible job the tow painters did on repairing the unsightly crack in the ceiling of the foyer and in upstairs doorway. The repair work is completely invisible. Wonderful Job. I won’t hesitate to recommend you and Paper Perfect whenever I have the opportunity. I have worked exclusively with Paper Perfect for over 10 years. Their estimates for labor are fair. Their estimates for product (paper and/or paint) are also fair. You will not end up with rolls of unused (expensive) paper. Their work is impeccable. Wallpaper has become extremely expensive and I feel very protective of my clients investment. I know Joe, and his team, will get it right. They show up when they say they will. If there is an issue (traffic, weather etc.) they are communicative, and I am given plenty of warning. They are clean and respectful of the property they’ve been invited to work in. If a touch up is required, it is done in a timely matter. I recommend them, without reservation, to anyone looking for the consummate professional to help with their painting and/or wallpaper needs. I have been using Paper Perfect services for over 10 years now. They are one of the most professional, courteous, and detailed oriented contractor I have ever used. The diversity of their available services is a perfect fit for my 4 mil square foot portfolio. Their ability to consistently perform all services offered in a high quality manner allows me to increase efficiency and improve workflow in day-to-day operations. If you are looking for that contractor who you can count on anytime day or night Paper Perfect is that contractor. I use Paper Perfect for all of my commercial/residential contractor needs, they are as close to an “all-in-one” solution as may exist. I have been working with Paper Perfect for over 10 years now; they are my first referral when ever a client needs painting or wallpaper services. Their knowledge of their trade in both painting, wallpaper and is second to none . Joe Sr and Joe Jr. are always available and provide my clients and myself with great customer service. They’ve done work for me professionally and personally in my own home. Paper Perfect will continue to be my trusted resource for painting and wallpaper for years to come. Paper Perfect has been consistent in their excellent service for a number of years. The master craftsman that they send out are respectful, and meticulous and are well organized. What more can anyone ask for! Paper Perfect did an amazing job wallpapering and painting my newly renovated basement. Their attention to detail and cleanliness through the project makes working with them a pleasure. We have been using Paper Perfect for over 5 years. Joe and his staff are wonderful to deal with. They do great work, they show up on time and are very professional and clean. As an Interior Designer, it is important that I refer my clients to people that do quality work. As an interior designer I require any recommendations that I provide to do the best work possible or I do not associate my reputation with the recommendation. I have worked with Joe Di Padova Sr. and Joe Di Padova Jr, the owners of Paper Perfect for the past 30 years because they and their workers do impeccable work which derives from their smooth, prepared walls before painting or wall covering. They are always on time, are courteous and clean up after themselves. All of my clients love Paper Perfect and call them back when they want to do additional work. I consider them to be a Five Star contractor. Karla Trincanello, NJ CID, Allied ASID. I have contracted with PaperPerfect for over 15 years for both residential and commercial with work ranging from basic room painting to full exterior vinyl siding painting, from parking lot striping to full snow removal, and many many more. I have never been more happier with the quality of work, how cost effective, and the personal attention to details that they have provided. There is nobody better. As an interior design professional, I know the difference a good paint and wallpaper job can make! Proper application techniques and finishes are critical to the success of any home’s interior … it becomes the back drop that enhances all of your furnishings … and Paper-Perfect NEVER disappoints. I use them for everyone of my design projects. I don’t know what I would do without them. Paper Perfect always does the best job. They are prompt, professional, and perfectionists. Paper Perfect is a painting and wallcovering company that serves the commercial, industrial and residential customers. We have proudly served customers in the New York and New Jersey area since 1980 and have a highly experienced team of professionals.